Skin cancer is the most common form of cancer in the United States. Over 2 million Americans are diagnosed with skin cancer each year. Basal Cell Carcinoma (BCC) is the most common-occurring skin cancer. BCC’s arise from the skin’s basal cells and are caused by over-exposure to sun. Basal cell skin cancers rarely spread but can become disfiguring. In very rare cases, BCC’s have spread and become life-threatening. The second most common-occurring skin cancer is Squamous Cell Carcinoma (SCC). This type of skin cancer stems from the skin’s squamous cells and is also caused by sun exposure. SCC’s can become life-threatening if no action is taken to remove the cancerous lesion. 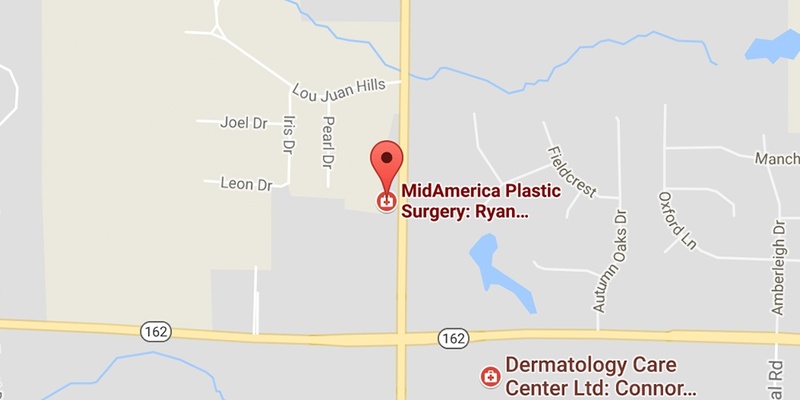 MidAmerica Plastic Surgery removes skin cancer using specialized techniques to minimize disruption to your appearance. All skin cancer removal procedures leave scars, but MidAmerica takes special care to minimize any scaring that can occur. The highest cure rate for Basal Cell Carcinomas and Squamous Cell Carcinomas is a MOHS procedure. If you have been diagnosed with a skin cancer, MidAmerica can help you. MOHS is a surgical procedure used to treat two common forms of skin cancer: Basal Cell Carcinoma and Squamous Cell Carcinoma. With a MOHS procedure, the cure rate for these cancers is 98% or higher, which is significantly better than any other treatment method. This is a very precise and accurate method of removing skin cancer. MOHS procedures allow your doctor to verify that the skin cancer is completely removed at the time of the procedure. A modified MOHS procedure is completed in the office as an outpatient procedure. First, the skin cancer is identified and local anesthetic is used to numb the area. The cancer is then surgically removed and sent to the lab to be examined by a pathologist; this process takes about 30 minutes. Microscopic examination reveals if all of the skin cancer has been excised. If the margins are clear, the procedure is over. However, if the margins reveal residual cancer, more tissue is removed. This process is repeated until clear margins are achieved. Once the skin cancer is completely removed, the doctor will decide the best way to close the wound. The goal of a modified MOHS procedure is to completely remove the skin cancer and leave as much healthy tissue as possible. This process produces the best cancer cure rates and the best cosmetic results. The length of your procedure will depend on how involved your skin cancer removal becomes. This process can take a few hours. At MidAmerica Plastic Surgery, we want you to be comfortable during your stay with us! We offer television and radio options to make your experience more enjoyable as well as private rooms available for patients their entire visit. After all of the cancer has been removed, the remaining wound must be repaired. There are many ways in which the wound can be closed, including stitches, skin grafts for large wounds, or skin flaps (shifting skin to cover the wound). Wound closure is patient dependent.